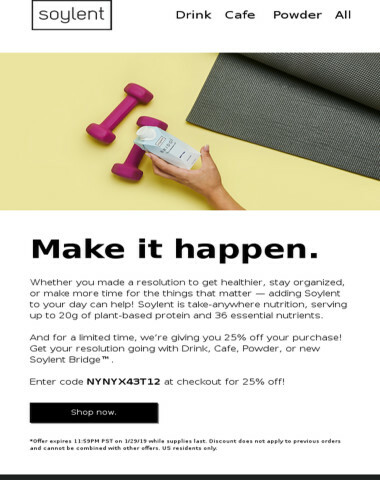 Boost your New Year’s resolution with 25% off! 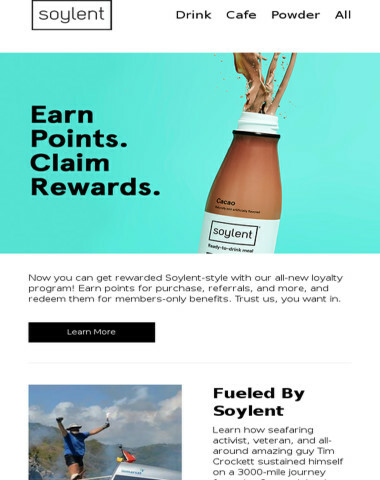 January’s here! 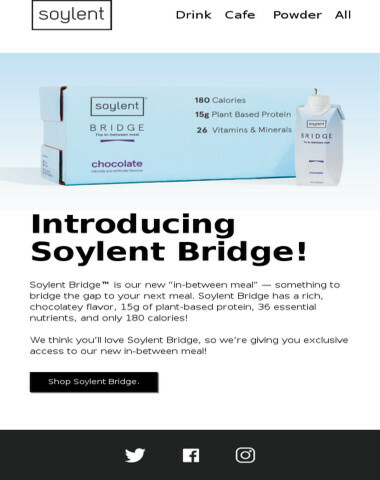 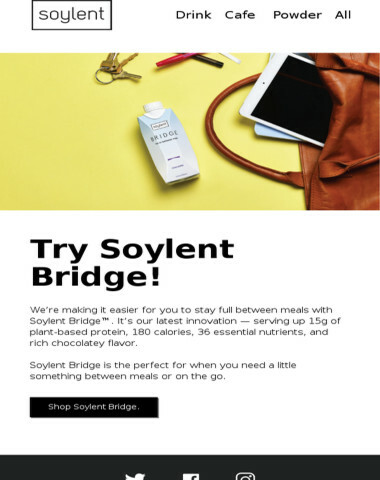 And so is the new Soylent Bridge, #SoylentforGood news, and more! 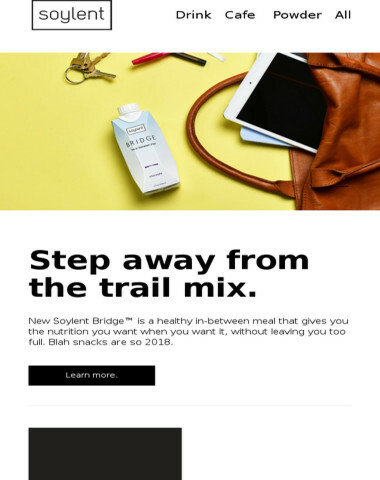 Say hello to our newest in-between meal! 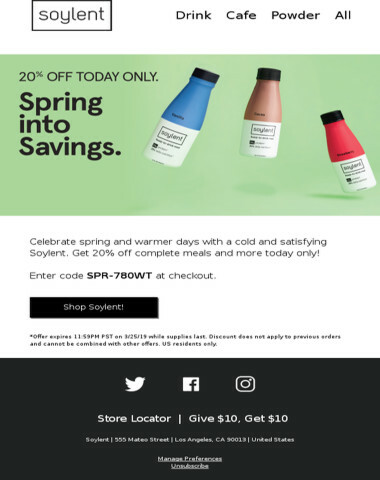 A special deal and exclusive access – just for you! 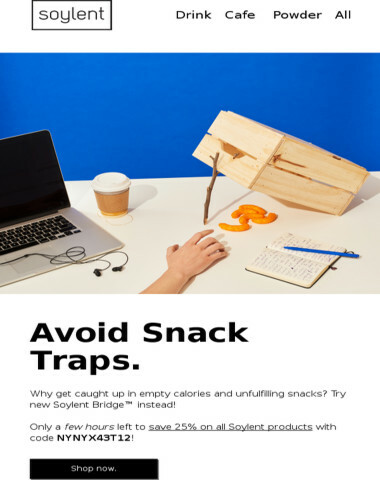 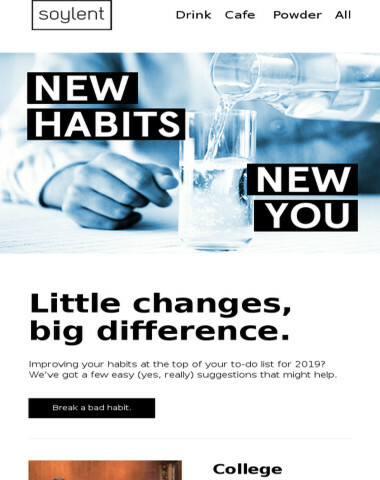 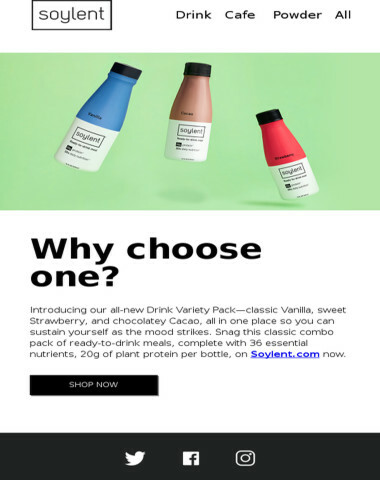 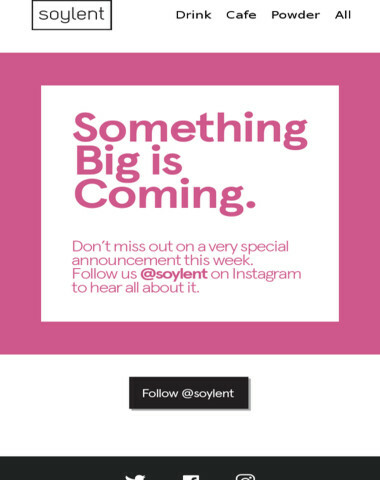 Get ready for something big from Soylent. 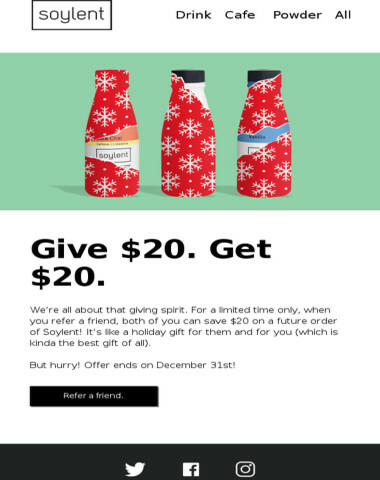 Want $20? 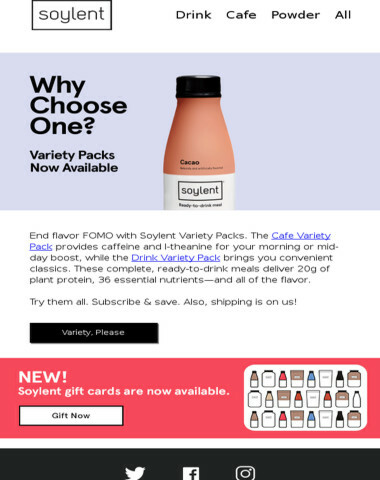 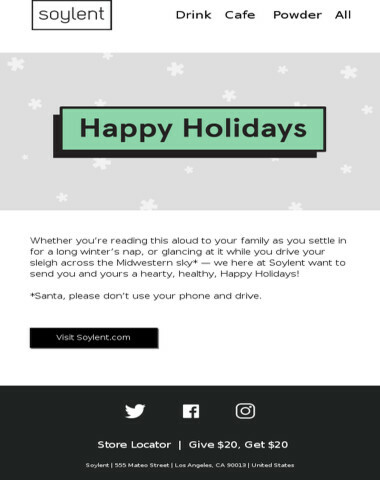 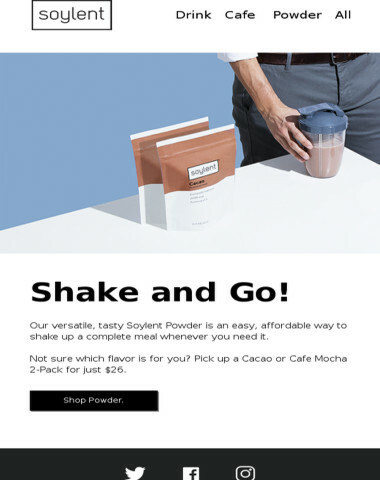 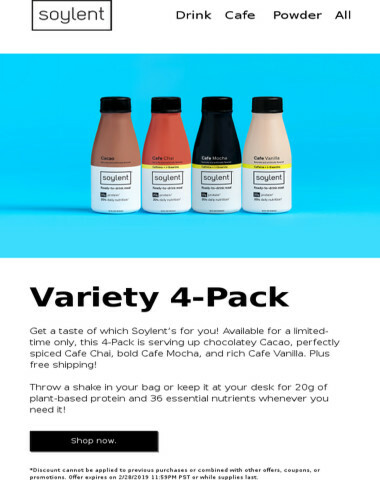 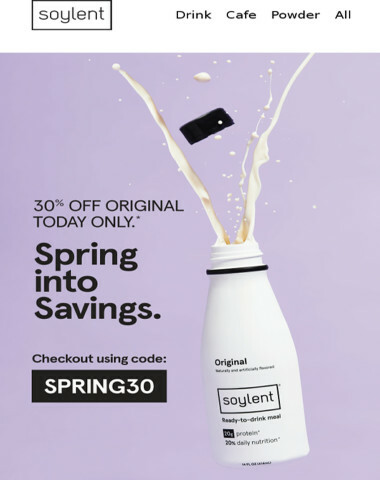 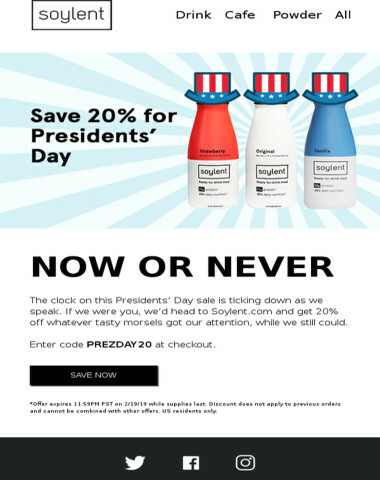 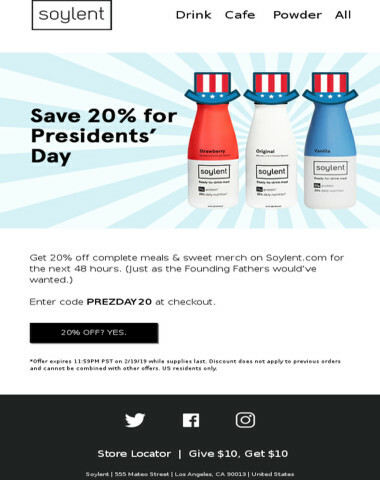 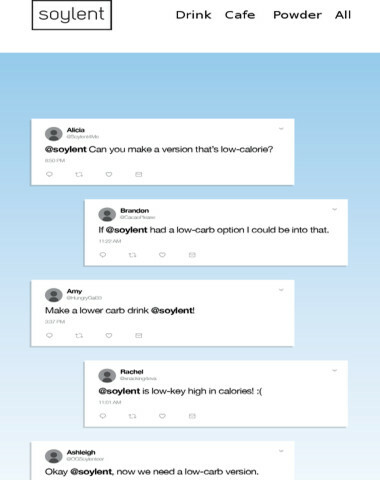 Tell your friends about Soylent!